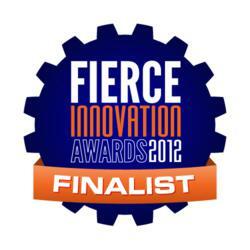 Reverb Networks, a developer of intelligent SON solutions designed to provide mobile network operators improved operational and spectral efficiencies, announced today that it has been recognized as a Finalist in the category “B/OSS Innovation” for their product “InteliSON®” by this year’s Fierce Innovation Awards. The Innovation Awards are an operator-reviewed program from the publishers of FierceWireless, FierceTelecom and FierceCable. Finalists (and winners) were selected by an exclusive panel of carrier-only judges including Stephen Bye, CTO and VP of Technology Development & Strategy at Sprint; Mattias Fridstrom, VP and Head of Technology at TeliaSonera International; Abhi Ingle, VP of Ecosystem and Innovation at AT&T; Tom Nagel, SVP of Business Development & Strategy, for Communications & Data Services at Comcast Cable; Todd Smith, Director of Media Relations at Cox Communications; and Jim Wales, Executive Director of Networks at Verizon. FierceMarkets, a wholly owned subsidiary of Questex Media Group, is a leader in B2B emedia, providing information and marketing services in the telecommunications, life sciences, healthcare, IT, energy, government, and finance industries through its portfolio of email newsletters, websites, webinars and live events. Every business day, FierceMarkets' wide array of publications reaches more than 1.3 million executives in more than 100 countries. Current publications include: Telecom: FierceBroadbandWireless; FierceCable; FierceDeveloper; FierceEnterpriseCommunications; FierceIPTV; FierceMobileContent; FierceOnlineVideo; FierceTelecom; FierceWireless; FierceWireless:Europe; Healthcare: FierceEMR; FierceHealthcare; FierceHealthFinance; FierceHealthIT; FierceHealthPayer; FierceMedicalImaging; FierceMobileHealthcare; FiercePracticeManagement; Hospital Impact; Life Sciences: FierceBiomarkers; FierceBiotech; FierceBiotechIT; FierceBiotech Research; FierceCRO; FierceDrugDelivery; FierceMedicalDevices; FiercePharma; FiercePharmaManufacturing; FierceVaccines; Energy: FierceEnergy; FierceSmartgrid; Enterprise IT: FierceBigData; FierceCIO; FierceCIO:TechWatch; FierceContentManagement; FierceMobileIT; Finance: FierceComplianceIT; FierceFinance; FierceFinanceIT; Government: FierceGovernment; FierceGovernmentIT; FierceHomelandSecurity; and FierceMobileGovernment. Reverb Networks is a leading developer of automated, continuous and Intelligent SON solutions. The Reverb solutions are software based, sophisticated, fully network integrated and easy-to-implement. The solutions reduce OpEx and CapEx for wireless network operators through frequent and proactive self-optimization, and improve operational and spectral efficiencies. In partnership with Reverb Networks, wireless operators and managed service providers can quickly and easily deploy new sites, maximize the performance of their wireless network affordably and efficiently, and gain optimal network performance. Operators can apply Reverb’s SON solutions such as load balancing, interference reduction and self-healing to existing UMTS networks and upcoming LTE networks. Headquartered in the United States, Reverb Networks has presence in North America, South America, Europe and the Middle East offering support across the globe. Through a strong IP portfolio in the area of SON and Antenna Network Management, Reverb Networks offers solutions that have a customer focused approach to deliver optimal and valued results.